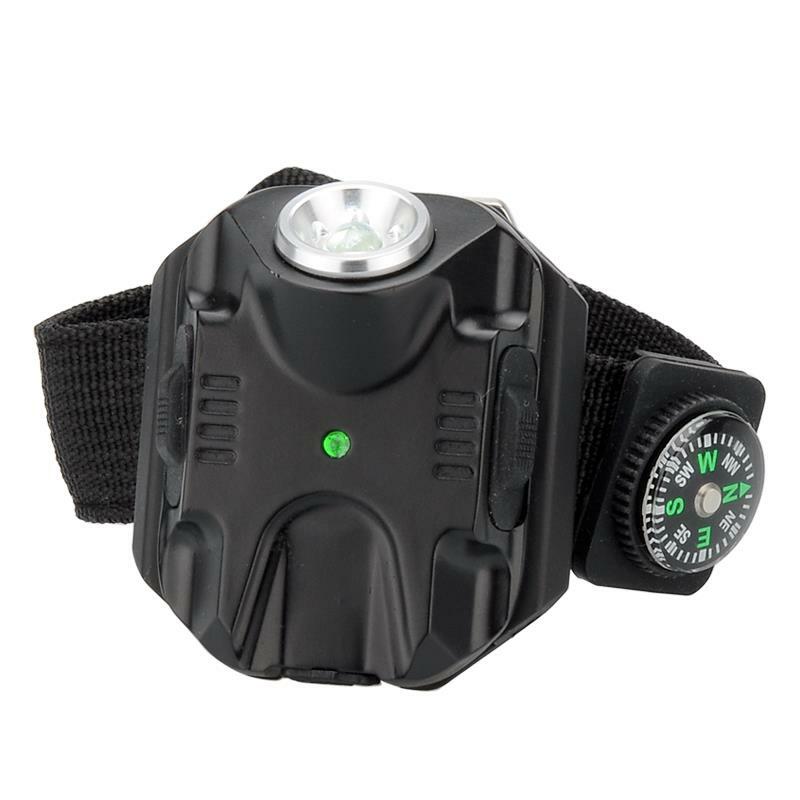 Portable Wrist flashlight with Weather proof hard-anodized aluminum body has a Q5 LED for 180Lumens of light and 5 lighting modes. 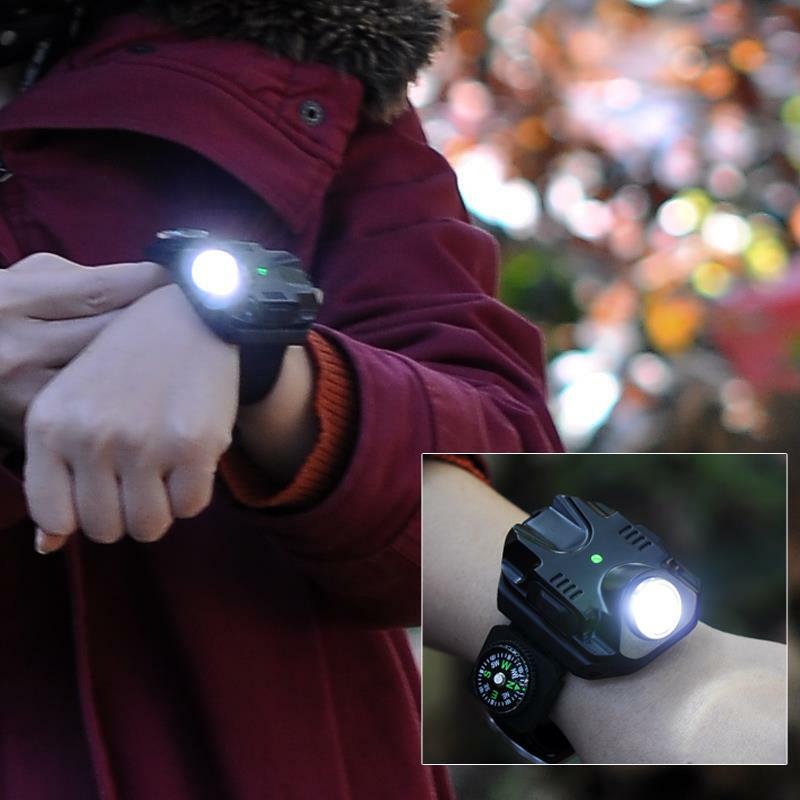 This portable Wrist Flashlight is designed to light up your world without tying up your hands. 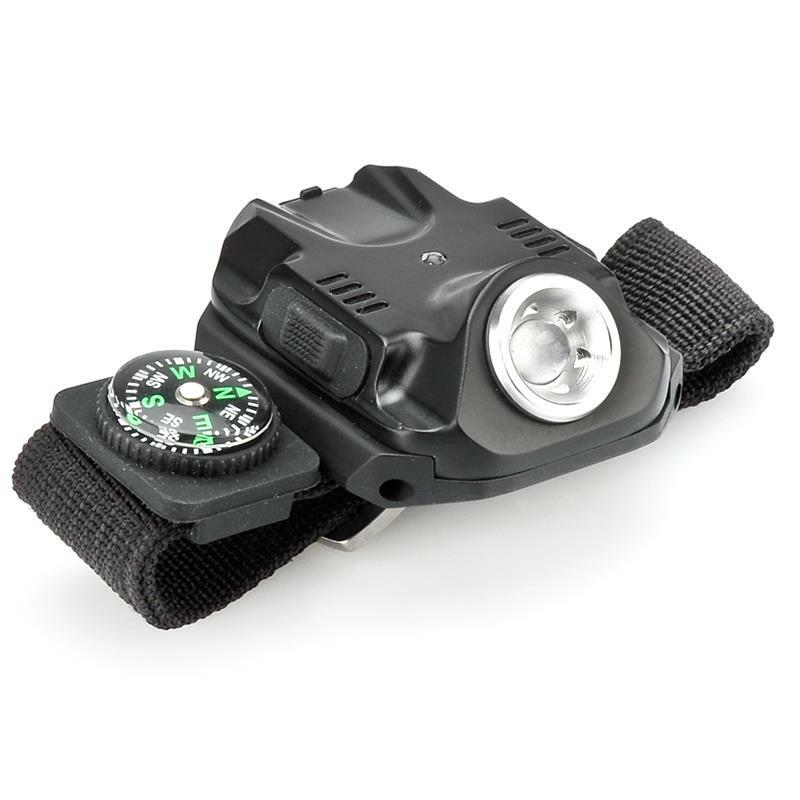 With the Q5 LED you get a maximum of 180 Lumens of light and this beam is directed by refractive optics making it ideal for close range applications such as fixing your car, DIY tasks or even camping. 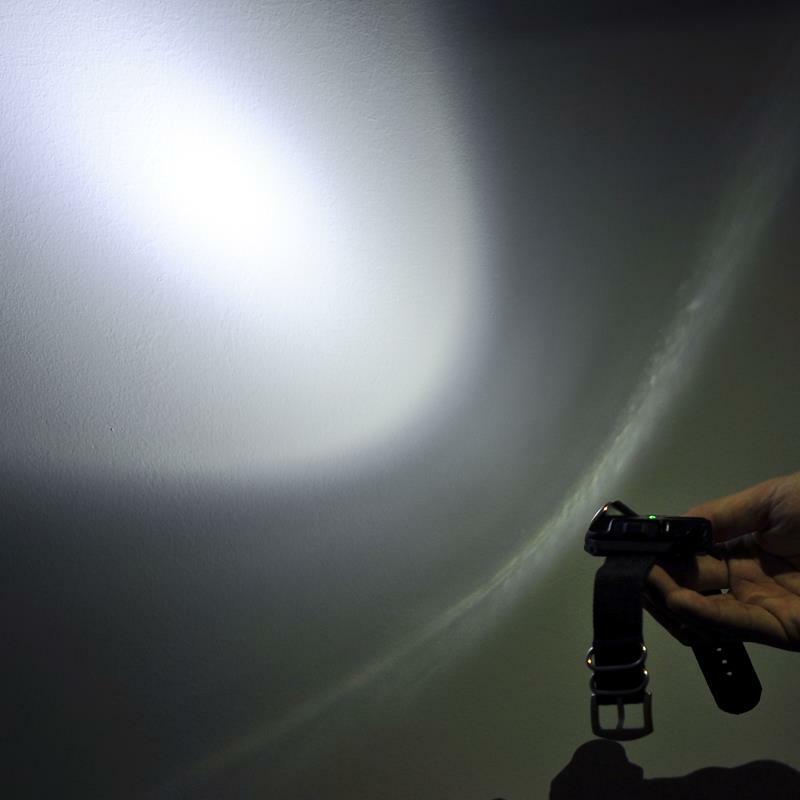 The ergonomic push-buttons mounted on either side allow for ambidextrous use and let you easily switch between the 5 light modes. 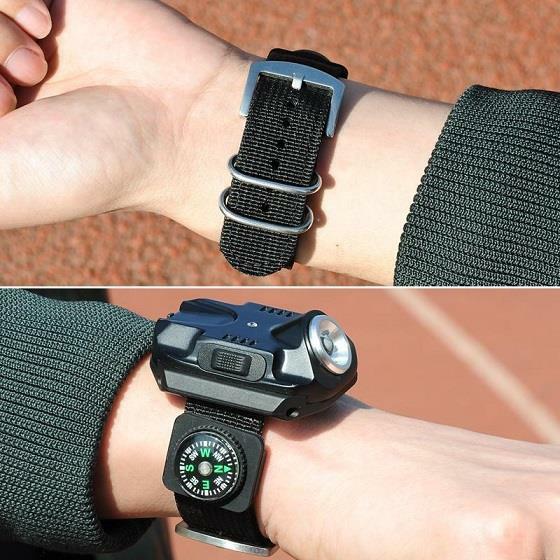 These are high, medium, low, strobe and SOS. 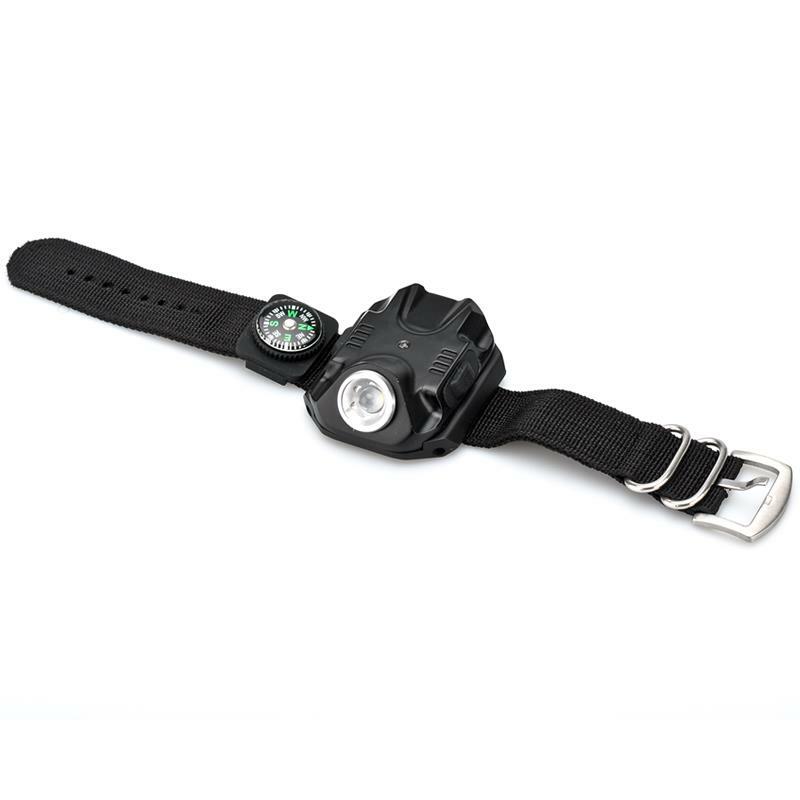 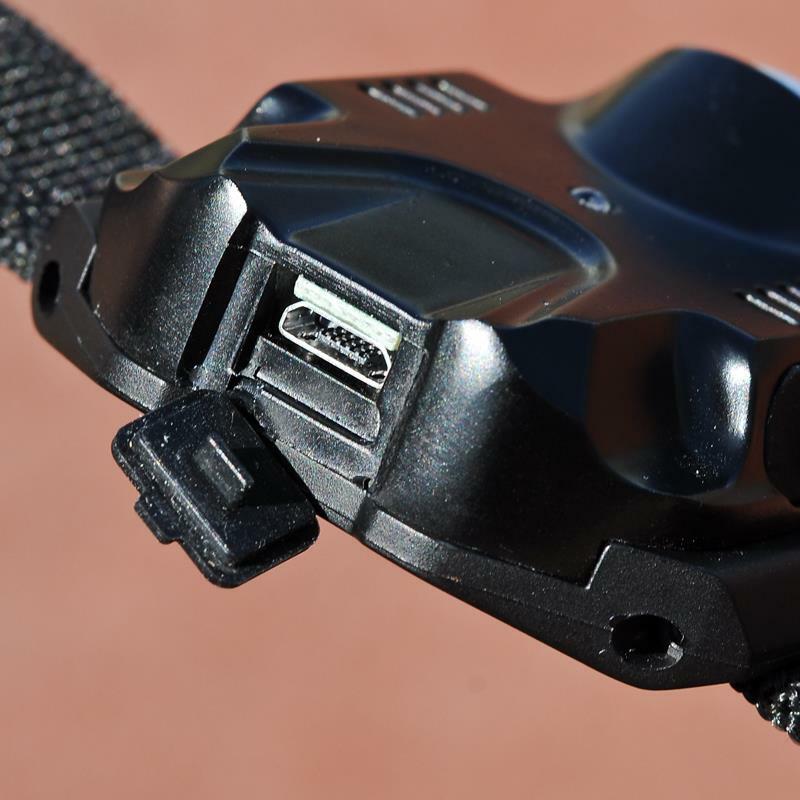 With an adjustable nylon wristband makes this LED wrist flashlight comfy to wear and it also has a mini compass for navigation. 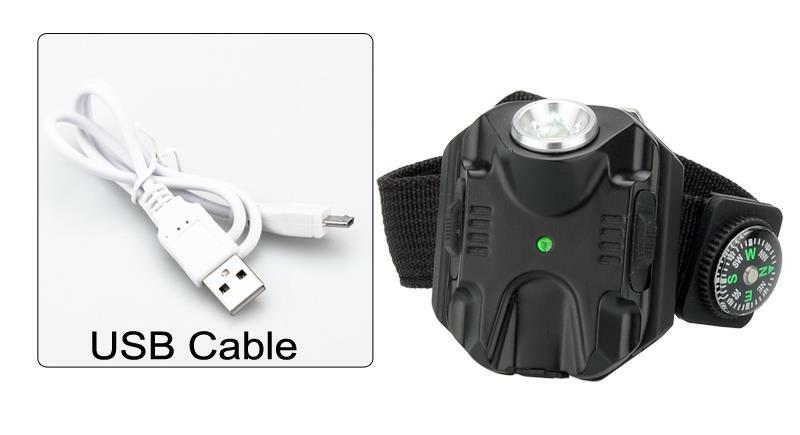 Containing a rechargeable 1000mAh built in battery you get enough power for one and a quarter hours of full power lighting or up to three hours when using the low lighting mode. 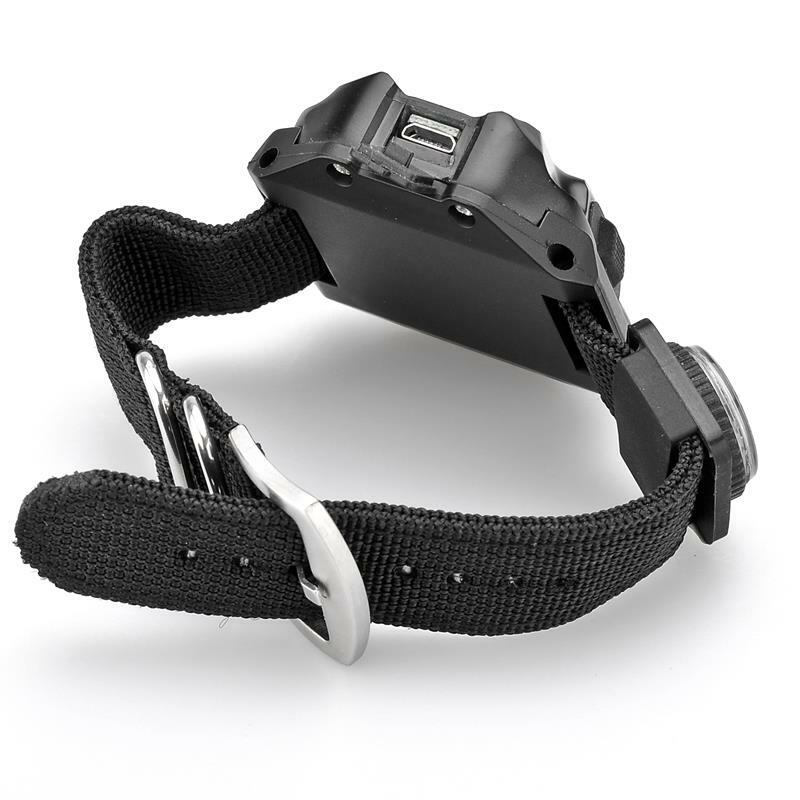 Due to its hard anodized body and weatherproof abilities its suitable for use indoors and out.